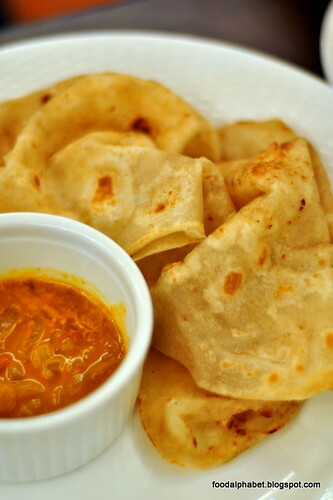 Roti Prata with curry sauce (P80), freshly cooked upon order, tastes just like the ones you have in Singapore and Malaysia. Crisp and soft, just how I like my roti. 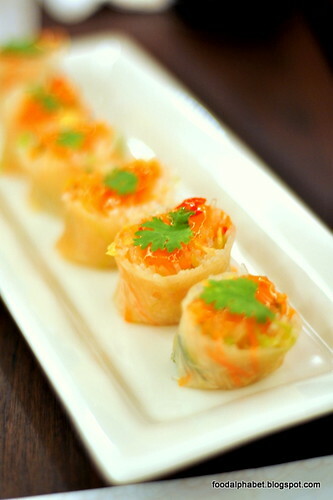 Another appetizer favorite is their Vietnamese style spring rolls (P145). With fresh veggies, noodles and light wrapper coupled with sweet and sour sauce. Let's enjoy dinner with these great delectable treats starting with Hainanese Steamed chicken rice (P190), its a steal with that price. 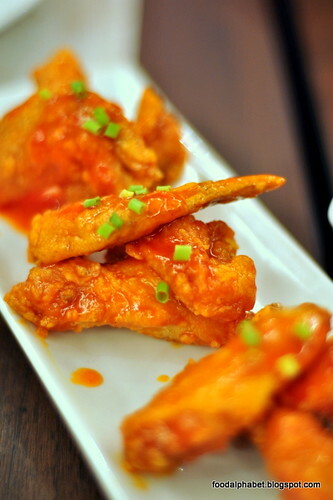 De-boned steamed white chicken, with a choice of ginger, chili and peanut sauces. Paired with chicken broth on the side and delicious rice makes a complete meal. 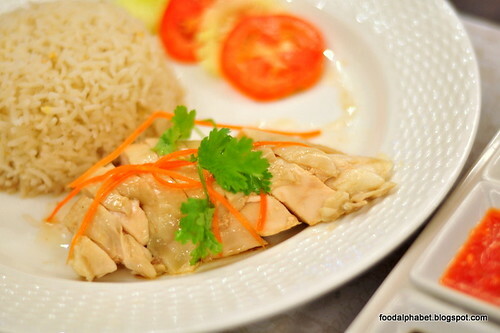 One of the best Hainanese chicken meals I have ever had. Osso Bucco Milanese (P325), a creative work tempting to the senses. An Italian beef shank stew, made with a sauce that is definitely Chef Kannan, sweet and spiced just right, if not for my cholesterol levels going red, I would have taken a bite more. It's amazing how one chef can shift from an Asian inspired theme, yet do so well with American classics. 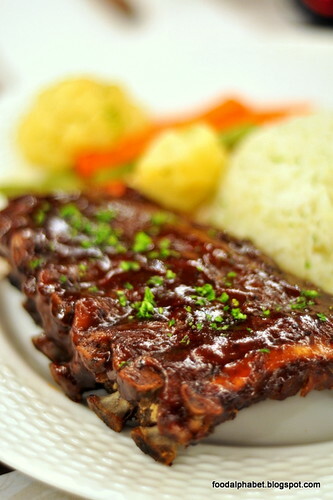 And so with Chef Kannan's take on Buffalo Wings with blue cheese dip (P180) and Honey Glazed Baby Back Ribs (P385) served with butter parsley rice. The Buffalo wings were spiced just enough, but were a tad small, I guess that's not their fault but more of their supplier's. But the ribs were soft and chewy, meat that literally fall of the bones. You got to try them to believe. 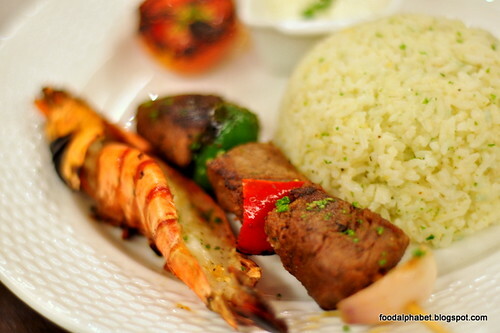 Surf and Turf (P345), grilled tiger prawn with beef shish kebabs, a perfect mix of seafood and meat favorites with butter parsley rice. 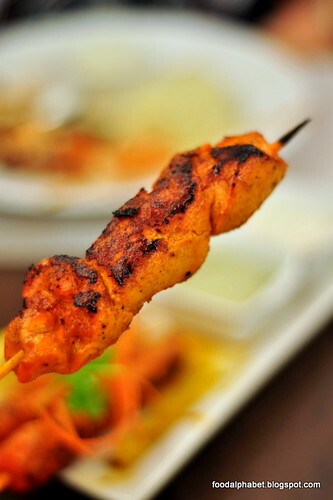 Tandoori Chicken Tikka (P195), skewered boneless cubes of chicken breasts with coriander chutney and yoghurt raita, eat while hot! They are good. 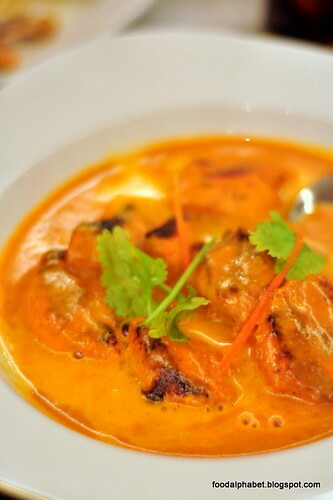 Butter Chicken Masala (P230), boneless chicken breast cooked with Indian spices in tomato and butter sauce, with butter parsley rice, one of Chef Kannan's specialties. 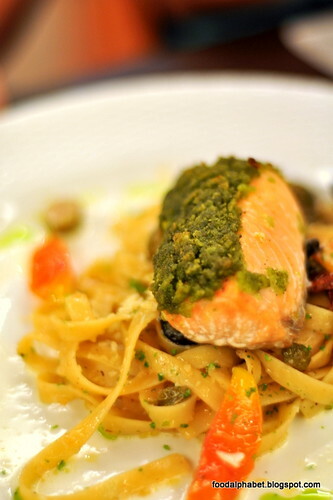 And on the right we have Baked Salmon fillet with pesto crust (P325) over Pasta Oliva. 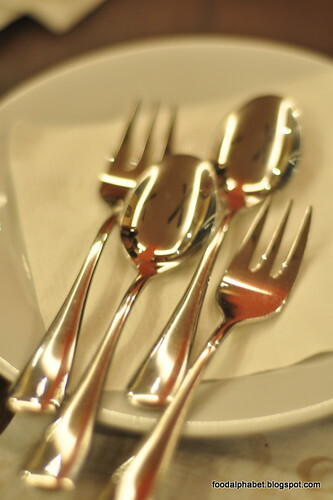 Look how he makes them when they arrive at your midst, every dish is perfect. 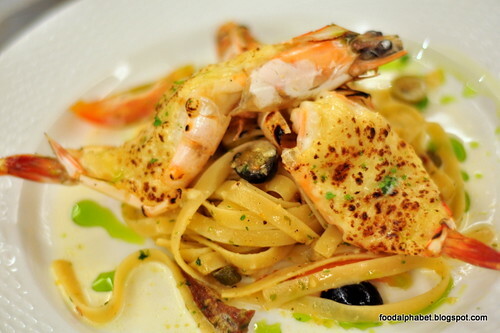 Baked prawns with Cheese and Garlic cream over Pasta Oliva (P345). 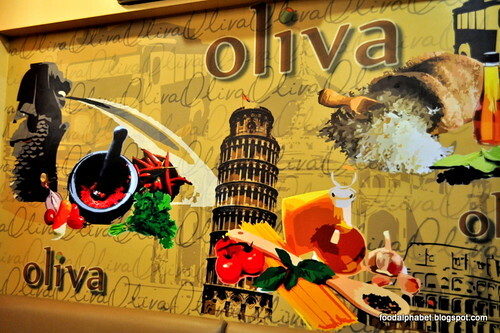 Normally when you have this kinda dish served in hotels it would cost a fortune, but with Oliva Bistro Cafe, you could have this at a fraction of the cost, but with more flavor. 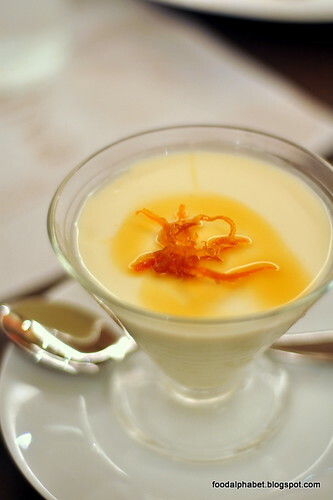 For dessert, try the Vanilla Panna Cotta with Candied Orange Peel and Honey (P80), tastes just right, not too sweet, not too bland. You would get to love as soon as you take a spoonful. 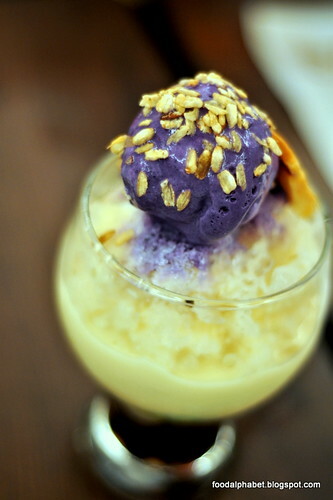 Halo-Halo (P80), a classic Filipino dessert that Chef Kannan has made even better. So creamy, it was indeed a surprise hit for me. Grab one and enjoy its goodness. 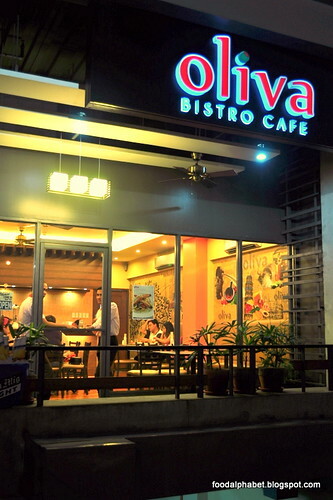 Enjoy the best of both worlds at Oliva Bistro Cafe, great tasting food at awesomely affordable prices. You can never get enough of it. 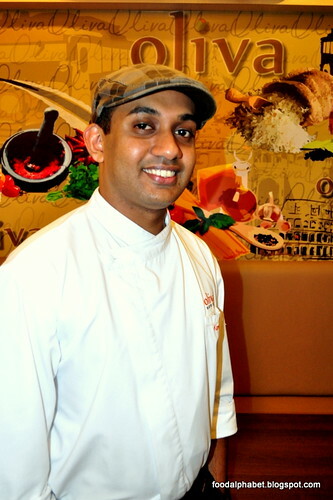 Taste a little of Singapore, Malaysia, Philippines and the rest of the world in one roof. great food!! i wanna visit it. Hello. May I ask what's their signature dish? For me, I love their Roti, just like the ones you will have in Singapore. 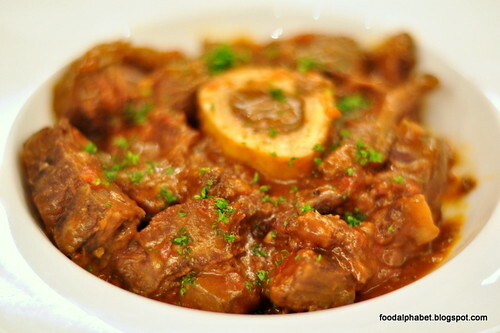 Enjoy their Hainanese chicken and their Osso Bucco Milanese.